An illustration from the Kissing Hand was selected for an exhibit at the Bruce Museum in Greenwich, CT. 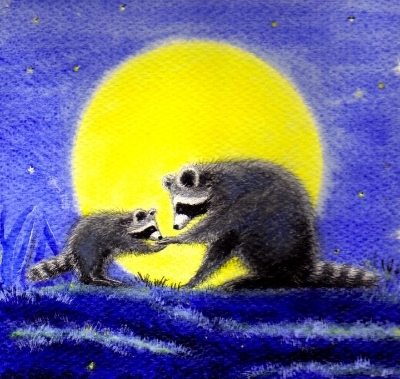 The Kissing Hand illustrations captured the attention of curators for "their realistic, yet sweet, depictions of raccoons." Storytime - Aug 31, 2014 - at Denver City Park!